You may also decide to go for a more religious or cultural ceremony, we will help you organize & create Jewish, Persian, Hindu ceremony and much more! 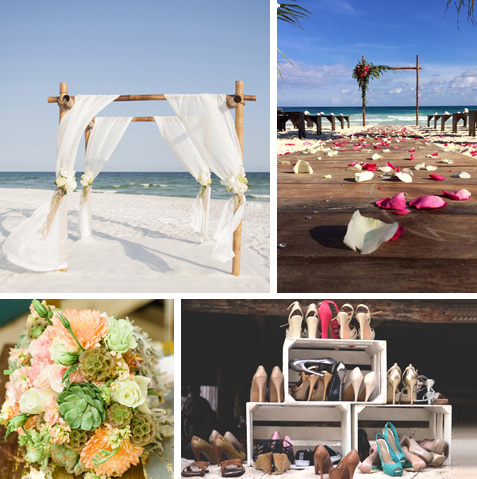 Love for Mayan weddings is the result of its simplicity, originality and deep meaning. 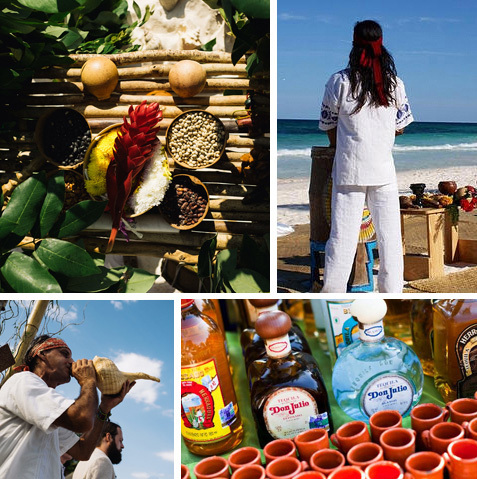 In accordance with the ancient Mayan Rituals, our Shaman will evoke the four elements: water, earth, wind, and fire, so that their presence may strengthen and bless your union for many years. To recreate the perfect environment full of magic and mysticism, the wedding will be held on the beach, with incense smoke to purified the environment, flowers, veils and torches or lamps…The music that accompanies the event is either wind instruments & percussions or live classical violin, guitar music, which can extend beyond the ceremony into the cocktail hour!